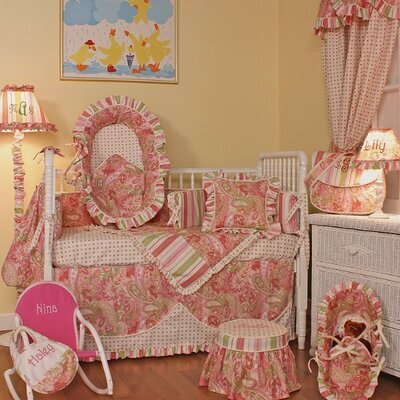 Paisley nursery bedding sets are very popular with young Mothers to decorate the special room where baby will grow. I don’t know if it is the kind of retro and vintage look to it or if it is because it is unique and different from the babyish designs that are available. Personally, I absolutely love all of the paisley crib sets that I have seen! They look so sweet and stylish and because of the design they are something that will grow with a little girl as her room changes to a toddler’s room and then a big girl’s room making it an economical choice, too. There are some color schemes that will work for a little boy, also. 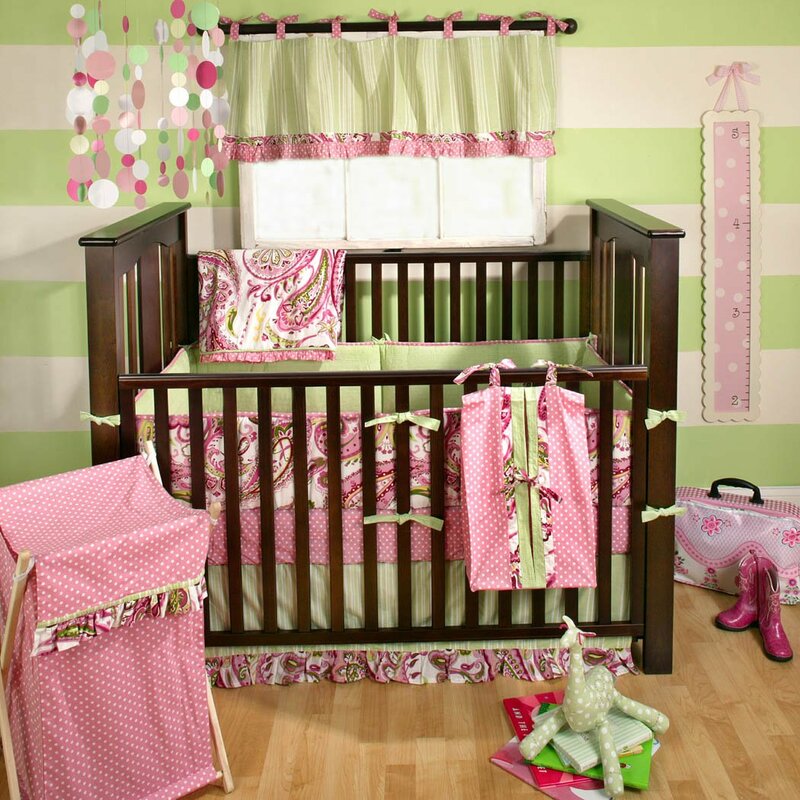 Pretty shades of pinks with a little bit of green make a lovely nursery bedding for girls. The set includes a crib blanket, a crib skirt that has an 18 inch drop, a sheet and bumper pads for the crib. There are also many coordinates that you can purchase separately. I just love the entire look of this cute set, don’t you? So sweet and perfect for a baby girl! We have more than one option for paisley bedding in a nursery from the My Baby Sam line of crib bedding. I like this little Pixie set it includes a crib blanket, crib sheet, crib skirt and bumper pads for the crib. Additional coordinating pieces are shown below. This set is shown in pink and also comes in aqua. Paisley and the use of it in designs go back quite a few years. The design may come from old Persia or possibly India and uses the botah which is a droplet shaped vegetable motif. Sometimes it is described as a twisted teardrop while others might say that it looks to have an almost kidney shape. The actual name used in Western cultures is derived from a town in Scotland that was a major center for producing textiles. During the 18th and 19th centuries this motif became quite popular in Europe from the imports that were beginning to arrive from British India. The shawls from the Kashmir district were very popular and began to be imitated in other types of textiles. Americans sometimes call it the Persian Pickle or the Welsh Pear. The boteh jegheh, which is what this design was called in old Persia, can be traced back to being used during the Sassanid Dynasty which occurred around 224 to 651 AD. That is a long, long history I would say. 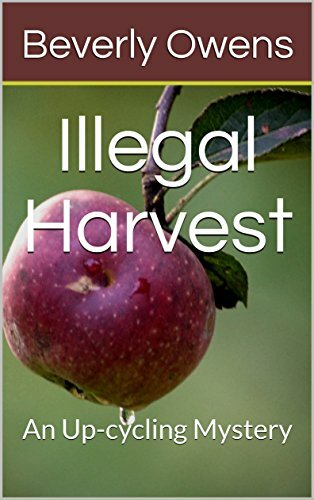 I think it is kind of cool that it is making a come back in popularity. Another selection from My Baby Sam that will work nicely for a girl or a boy baby room. I love the earthy browns and greens in the pattern. This cute set includes three pieces: blanket for the crib, fitted sheet and bumper pads. There are several cute accessories pieces that can be purchased separately, also. 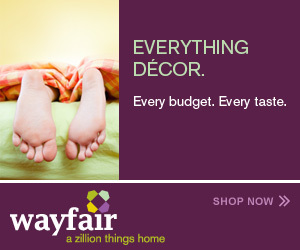 Things like lamps, hampers, diaper stackers and other items. If you have chosen a fabric that has paisley designs, paint the walls in stripes of colors from the paisley print. You can put striped wallpaper if you want. The stripes look really cool if they are horizontal instead of vertical. Dots work well, too. Of course you can also just paint the walls a solid color choosing a shade from the print in the fabric of the bedding. As I stated earlier the paisley pattern in textiles has been around for centuries and personally I think that it makes for a fun and unique style in any baby’s room. Purple has become a very popular color to use in a little girl’s nursery. 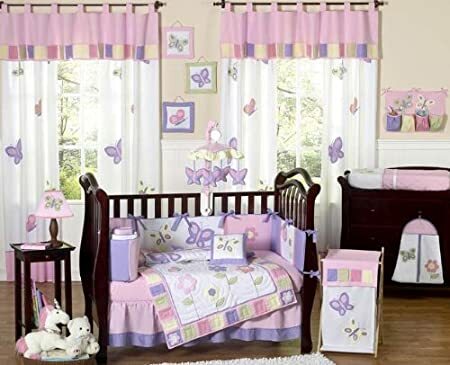 Since we usually think of our precious little bundles of female joy as our own little princesses, a purple girl nursery does seem like an appropriate color to use because it is often thought of as the color of royalty. It is also believed to increase the nurturing tendencies and sensitivity which are qualities that we would like to see any our little girls. Shades of purple occur so rarely in nature that it is also thought to be connected with a sacred nature. Lilacs, orchids, lavender and violets in flowers are so often thought of as special and precious just as we think of our little girls. Shades of purple can give an uplifting feeling to anyone in the room. So, let’s look at some options for purple in the baby room. Want to? This is such a fun little set that uses shades of purple and browns in an almost vintage kind of look for the baby room. 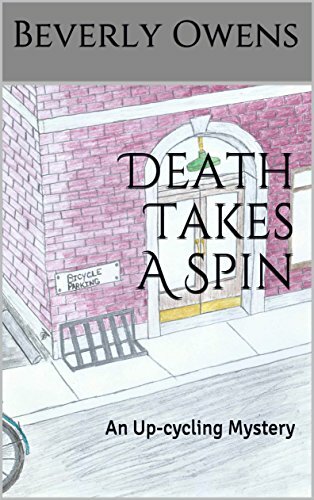 It is cheerful, fun and a little funky but not too babyish. The set is economical to purchase and gives you quite a nice bang for your buck. You can also get additional items that coordinate nicely with the bedding set for the rest of the room. This little set is just so cute! I love the butterfly theme and the use of lavender and other shades of purple. The other thing that attracts me to this set is that the patterns are not printed on the fabric but are sewn on with applique and embroidery giving it a nice almost homemade look. Another version that has the added appeal of using pink and purple together. Each set offers coordinating pieces to add to your nursery creating a finished look to the room. What do you do with the walls? My suggestion is to keep walls light. Take one of the colors from the pattern that you chose for the bedding and have a pale shade of it mixed at the paint store. For a baby’s room, I also suggest that you choose a paint that is easily washable with a damp sponge. Your woodwork can be done in white or a complimentary color in a pale shade or maybe even a slightly darker shade than the walls.